Newcomer Family Obituaries - Richard T. 'Dickie' Fischer Sr. 1945 - 2018 - Newcomer Cremations, Funerals & Receptions. Richard T. "Dickie" Fischer Sr.
Richard T. Fischer Sr. age 73, of Mount Healthy, Ohio passed away on Thursday, November 29, 2018. He was born in Cincinnati, Ohio on May 15, 1945 to Joseph and Ida Fischer (nee Hill). Richard was a football fan with his favorite team being the Pittsburgh Steelers. He retired from Honeywell Intelligrated, formerly Buschman. He was preceded in death by his parents and first wife Shirley Ann. 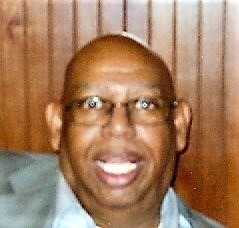 Richard is survived by his wife, Ivy Fischer (nee Johnson); children (from his marriage to Shirley Ann), Richard Jr. (Trudie), Vickie (Rodney), Donavan (Rhonda), Dorian; step-children, Ricardo, India, Imani; numerous grandchildren, and great-grandchildren; nieces, nephews, and a host of other family members and friends. To share a memory of Richard or leave a special message for his family, please click the Share Memories button above. Add your memories to the guest book of Richard Fischer Sr..